The two largest companies selling essential oils are Young Living and doTerra, and together they have over a billion dollars a year in annual sales. It’s big business. The essential oils market has boomed in the last 20 years as “wellness” and “natural” living have trended simultaneously with self-care through online sources and reduced trust in “traditional” medicine and governmental institutions. Young Living introduces a new product each year, with last year’s blend of pepper, spruce, and frankincense called: Fulfill Your Destiny. According to the company, it “encompasses the complex and beautiful journey that leads to achieving your goals and highest potential.” There’s a fascinating article in The New Yorker (October 9, 2017) called "Something in the Air" about the big business of essential oils if you’re interested. Surveys suggest that more than 50% of families of children with ADHD try some form of alternative medicine. Part of the appeal to parents of essential oils is that the products are supposedly “natural,” “safe,” and have been used for centuries. Essential oils recommended for ADHD include: vetevier (an Indian grass), lavender oil, cedarwood, coconut oil, Roman chamomile, mandarin, ylang-ylang, rhodiola, helichrysum, rosemary, valerian, peppermint, and frankincense. It’s a long list, and the matching of any individual oil to a specific symptom it’s supposed to treat varies quite a bit by source. Do they help? It’s hard to say, as there is very little research into whether, or how much, they may help. Many of the theories on mechanisms of action involve vague statements that would be extremely difficult if not impossible to test such as “balances the nervous system” and “stabilizes the energy field.” In some cases this is deliberate as the companies marketing the products try to avoid claims that could get them into trouble with the FDA. Evidence from randomized clinical trials examining the efficacy of such oils in treating ADHD is sparse, to say the least. The few studies that do exist, whether yielding positive or negative results, tend to suffer from inadequate trial design (e.g. small sample size, short duration), incomplete reporting, and/or lack of an appropriate control group. (1) This doesn’t mean the oils don’t work – it just means we don’t have much scientific evidence either way. Most of the “evidence” in support of essential oils for ADHD is anecdotal and comes from testimonials. “Testimonials" are personal accounts of someone's experience. They are generally subjective: "My child was less hyperactive," "He was calmer," and so on. Testimonials are inherently selective. People are more likely to talk about an "amazing cure" than about something that didn't work. Companies selling products are certainly more likely to quote positive testimonials. And for many people stories are more powerful and convincing than statistics published in hard-to-read and hard-to-find scientific journals. Are the stories true? In all honesty, I don’t know. Maybe your child’s symptoms really were improved by inhaling vetevier. Or maybe you or your child thought they were. The placebo effect is a phenomenon in both traditional and alternative medicine. A person’s expectations when they ingest a medicine can have an influence on its real effectiveness. A study published in the Journal of Essential Oil Therapy in 2007 with Spanish sage oil separated participants for a memory task into a group told that the oil would impair their memory and a group told it would have a positive influence. The positive expectancy group did better and the negative expectancy group did worse than a control group who ingested the oil but were told nothing of its potential impact. We want things to work, so sometimes they do. As long as they work, though, that’s great – right? I’d say yes – if they’re not harmful in any way. Are they safe? Maybe. Maybe not. Similar to prescription drugs, essential oils and blends contain biologically active compounds that can elicit pharmokinetic and pharmodynamic responses. There’s real medicine in there! Once consumed such substances are absorbed, distributed, metabolized, and eliminated by the body, often inhibiting or inducing metabolic enzymes or transporters. While composed of natural substances like leaves or roots, “natural” does not equate to “safe.” Approximately 50% of the drugs used in mainstream medicine were originally developed from “natural” substances. Remember the discovery of penicillin from mold? Because essential oils are not regulated for quality control, the chemistry, potency, purity, and safety of any given oil is largely unknown and can vary from one product to the next. Differences in plant chemistry caused by weather or pesticides, as well as harvesting, storage, manufacturing and formulation processes introduce variability. Variability can influence responses and health. From the government’s perspective, if a product is intended for a therapeutic use, such as treating or preventing disease, it’s considered a drug. The fact that an essential oil comes from a plant doesn’t keep it from being regulated as a drug. Under the law, drugs must meet requirements such as FDA approval for safety and effectiveness before they go on the market. The FDA determines a product’s intended use based on factors such as claims made in the labeling, on websites, and in advertising, as well as what consumers expect it to do. So, when the marketing of an essential oil for ADHD steps over a line and makes drug-like claims, the FDA may step in. In 2014 they warned an online company selling valerian for ADHD that it was in violation of interstate commerce laws for selling products that “in light of their toxicity or other potentiality for harmful effect, the method of their use, or the collateral measures necessary to their use, are not safe for use except under the supervision of a practitioner licensed by law to administer them.”(2) The same year they scolded doTerra and Young Living for their claims about treating ADHD. So the companies changed their marketing literature to downplay promises made. Why aren’t there more studies? Most plants and raw botanicals can’t be patented, so why should a company spend money proving they’re effective? Any negative results could harm future sales. The big companies involved in this booming market are making a lot of money as things stand. Why rock the boat? What about scientists doing research in the academic realm? Research with essential oils is hard to do because patients can’t be blinded to the odors. But probably the main reason there hasn’t been more scientific research is that obtaining funding for research from governmental agencies for “alternative medicines” is a challenge. I wish this were different. What should a parent do? Proceed cautiously. There’s very little scientific support for positive effects of essential oils in the treatment of ADHD. Evidence of the safety of essential oils with children is also scarce. 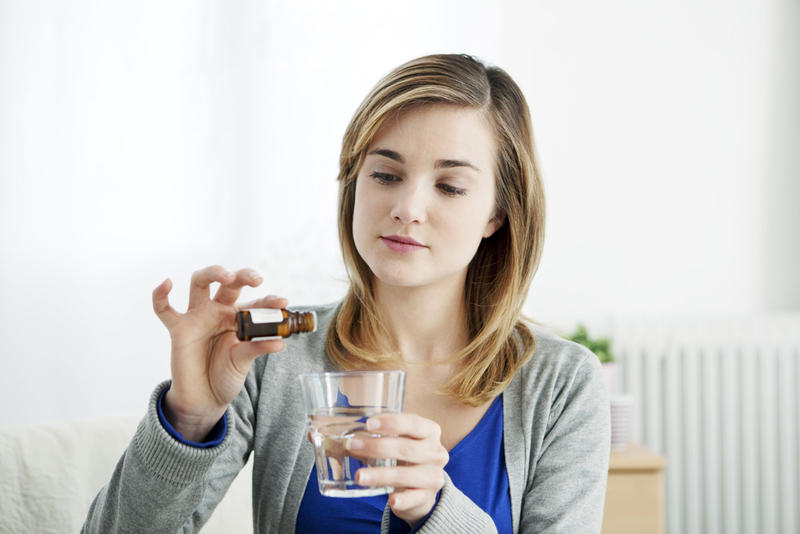 Essential oils contain potentially powerful substances that may help, but they may hurt. We just don’t have enough information to know. (1) Complementary and Alternative Medicine use in Pediatric Attention-Deficit Hyperactivity Disorder (ADHD): Reviewing the Safety and efficacy of Herbal Medicines by Hajrah Mazhar, Emrson Harkin, Brian Foster, Cory Harris in Curr Dev Disorders Rep (2016) 3:15-24.